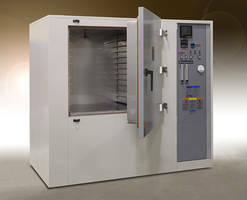 Minneapolis, Minn., U.S.A. - Despatch Industries, the world's leading thermal processing equipment provider for over one hundred years, recently received an order for a custom LND, nitrogen atmosphere, reach-in oven with PLC control system. The customer, who has purchased similar ovens from Despatch in the past, will use the equipment to perform the binder removal step in their metal injection molding process. "Metal injection molding is a unique application," states Tom Weller, Despatch Applications Engineer. "It combines metal powders with binders which allow the metal to be injected into a mold using standard plastic injection molding machines. The result of metal injection molding is that very intricate and complex parts that are challenging to fabricate can be manufactured in large quantities and in minimal time." 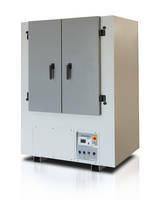 The high performance LND oven features a 650°F max temperature rating and nitrogen atmosphere. 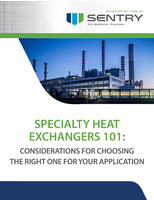 An acid pump and custom designed incinerator are included with the oven to remove exhaust and the oven door has a pneumatic closure to prevent leakage of any process gases. 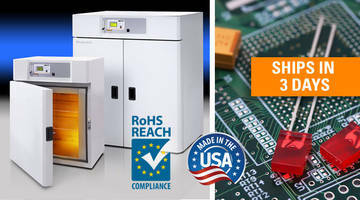 The PLC system controls the customer's entire process. 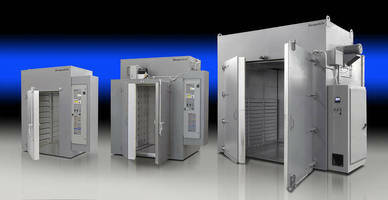 Despatch's Cabinet Oven comes in 20 in. wide.